New to Prestige Flowers is our Spring Daffodil basket with dashing tete a tete yellow blossoms. 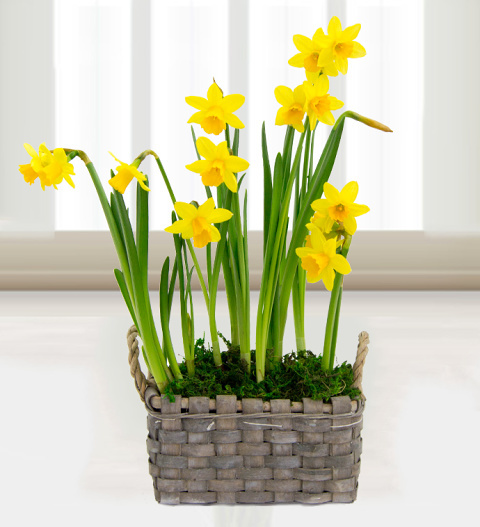 Presented in a beautiful handmade wicker basket, the Spring Daffodil basket is perfect for all occasions and is available for UK next day delivery. Also included is a delicious box of fine Belgian chocolates. Chocolates may contain nuts.